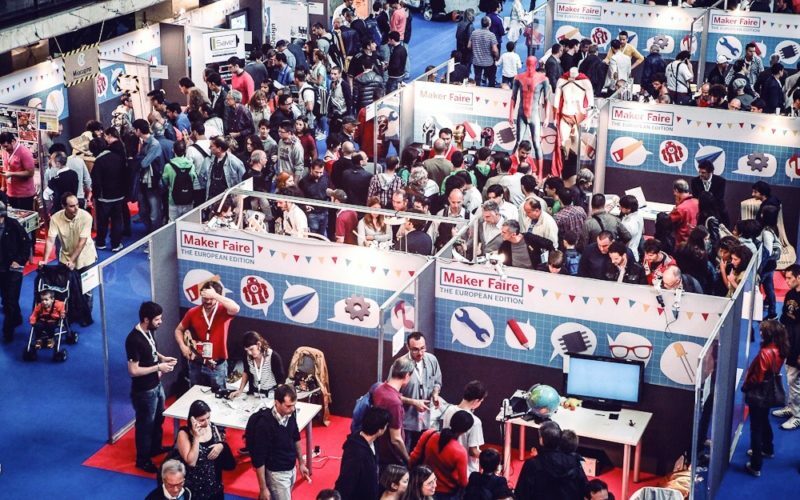 Maker Faires events are held almost 200 times globally, with an annual attendee if 1.4 million in 44 countries. In 2014 there was a Maker Faire event at the White House. The Maker Faire has spearheaded the movement of transforming creativity, innovation and education. Canada has not been left behind when it comes to holding Maker Faires. It is held in places such as Calgary, Vancouver, Ottawa and Windsor. This article is going to focus on annual maker faires and the impact they have had on the residents of Canada. The Vancouver Mini maker faire brings makers, performers, speakers and workshop leaders from a wide range of disciplines. The show runs for two days exhibiting projects, sharing knowledge and building the community. It’s what you would love to attend if you have some innovations up your sleeves that you would want to let the world know about. The whole event is driven by the community and it is for anyone who is embracing the DIY spirit. Volunteers of the whole event get to share their accomplishments and projects with an appreciative audience. The whole event has had a lot of volunteers and participants who are always willing to go out of their way. Any person who wants to participate in the event has to subscribe to their newsletter so that they are always alerted on when the next maker faire will occur. The 2018 edition of the Ottawa Maker Faire will be held on the 29th- 30th September. All of makers and volunteers in Ottawa should mark their calendars. The bizarre event has been listed since May 2014. The Maker Faire Ottawa gathers people who are fascinated by innovations and enjoy learning from other people. The event features categories such as art and craft, science and technology, design and engineering, fire and water, music and food. The Windsor Essex Mini Faire takes after large maker faires such as the Detroit Maker Faire. The small community event brings together people who are fascinated by the do-it-yourself life. The 2018 Windsor Essex Mini Faire was held on 24 February at the St Claire College. The list of activities that were held can be found on their website. The Prince George Mini Maker Faire has been listed since August 2014. The 2018 edition will be held on 22, September. The estimated count for visitors is 1000-2000 while the Makers are likely to be 100-500. The whole event is just like any other Maker Faire event. The attendees love sharing what they can do with other fellow makers. The engineers, designers, artists and scientists are part of a family friendly display of innovation and creativity. Which of these Maker Faire events would you want to attend and why?